The recently finished Physical Culture and Sports Complex in Ulan-Ude. Физкульт Привет! 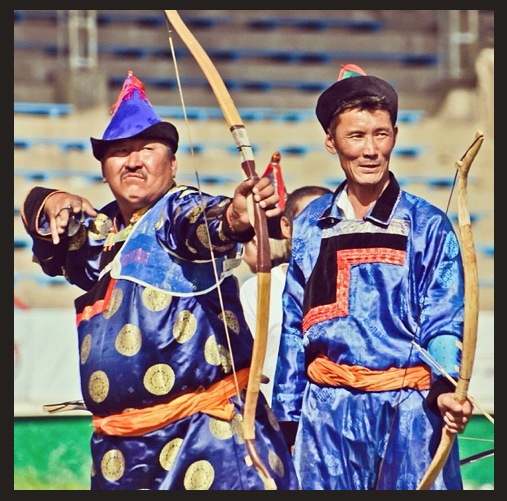 Sport has played a vital role among nomadic tribes here on the steppe. Competitions featuring wrestling, archery and horse racing sponsored by local ruling princes kept the men battle ready and in fine physique. Those traditions carry on to this day in Surharban and Naadym and Naadam among the Buryats, Tuvins and Mongols respectively. 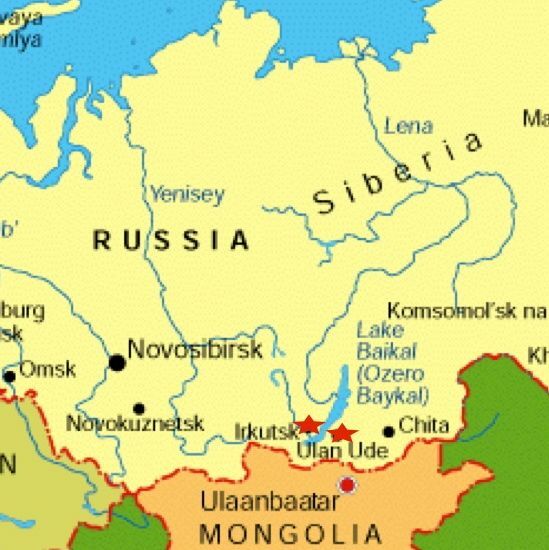 Aside from traditional sports, and modern wrestling which all Mongol peoples excel at, there isn’t a whole lot going on in the world of organized sports here in the capital city of the Buryats. That is until now! Meet the ladies of the Black Horse Volleyball. The crowd taking in Black Horse taking on #2 Voronezh. Enter Black Horse! From seemingly nowhere, Black Horse has vanquished its foes all across this land called Rus in a feat even the Great Khan himself would be impressed with. The sets are masterful, the spikes, fiery, and the kills? Devastating. I’m talking women’s volleyball here neighbor. Right now the lovely ladies of Black Horse have proved unstoppable, riding hell bent for leather through the top ranked teams in League A, and as of this evening taken over first place in the league. I am still trying to get my head around how leagues work here, but I believe the top four teams from the league Black Horse plays in will participate in the Russian Volleyball Cup. Setting up for the attack! Every touch, every move matters! The crowd reacts to play on the court. Entrance is FREE! We were invited to go with some friends last week, and found to our amazement a great arena, intense atmosphere, and really good volleyball. We were dazzled as the girls of Black Horse took care of business in an emotion filled 5 set match against #2 ranked Voronezh. Days later they toppled Lipetsk “Indesit” from the top ranked saddle, lassoing and branding them with the Black Horse brand two nights in succession. The dismantling of #1 “Indesit” Lipetsk in process. #5 is our American lass gettin’ er done! Coach making giving marching orders. the heat JUST KEEPS COMING! We were also nonplussed at finding an American on the team! Her name is Keao Burdine and she hails from Los Angeles where she played on two National Championship teams at USC and twice earned All-American honors and twice earned National Championship MVP! She also represented the US on Women’s National team at the Pan Am games in Mexico in 2011. Her international career has led her to Puerto Rico, Turkey and Russia. Go Keao! Our only American Horse on the Black Horse team. We are cheering for all you lasses to keep sticking it to the bigger teams and put Ulan-Ude on the sports map of Russia! Black Horse celebrates victory over #2 Voronezh. Black Horse salutes it’s fans. Tatyana’s story is an inspiration to me. She was born with an underdeveloped spinal cord which made her paralyzed below the waist. That scared her parents, and they gave her up. Tatyana grew up in a very poor orphanage outside of St. Petersburg, where the kids did not even have colored crayons, let alone a wheelchair for the girl. But Tatyana was a fighter, and she learned to walk using her hands. Then at the age of six she was adopted by a remarkable woman from America. She brought Tatyana home with her only to hear from the doctors there that the girl would probably live only a few more years and not reach adulthood because of her poor health. Well, together they proved them wrong! Today Tatyana is a beautiful woman, a full time student, and an accomplished athlete. I can’t help but wonder how Tatyana’s life would have panned out if she had stayed in the orphanage. The sad but unfortunately true fact about Russian orphans is a great majority of them don’t have happy lives. So thank you to all of you adoptive parents for opening up your hearts to our kids, loving them no matter what, and helping them discover their future that might not otherwise happen.